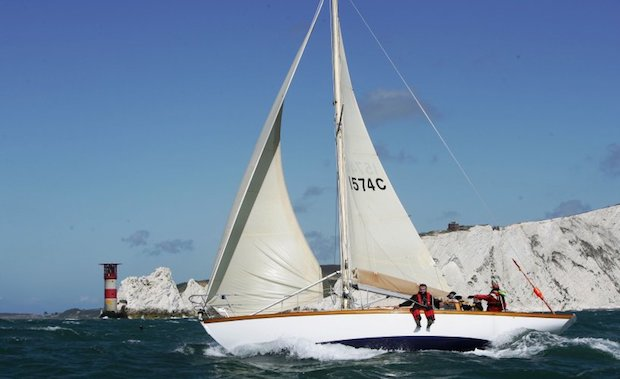 Sally Of Kames is For Sale with the Classic Yacht Brokerage, lying in Chichester Harbour. She's been Solent based for several years and she's been raced on occasion at a few of the Classic Boat races based there by an enthusiastic Alan Stannah. In fact, Alan commenced his ownership by employing Tim Gilmore to upgrade much of the boat, simplifying the arrangements to raise and adjust sails. 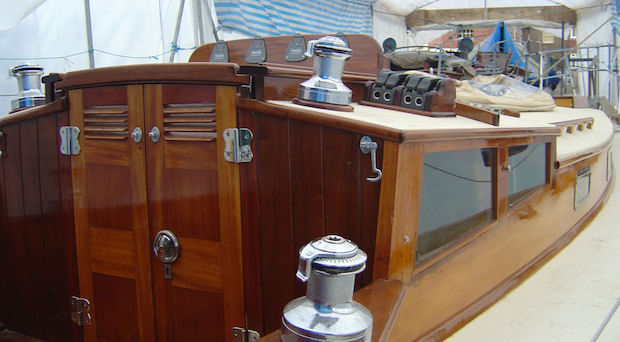 She's now an end-of-season bargain, reduced to £28,500, a most reasonable price for such a stunning classic yacht. The beautiful woodwork of Sally Of Kames' restored coachroof. The work was carried out by Tim Gilmore in 2008.